At Internet Marketing Experience, we provide businesses with comprehensive digital marketing, advertising, and web design in Rockford, IL. Located right outside of Chicago, we serve clientele in need of aggressive help with lead generation. 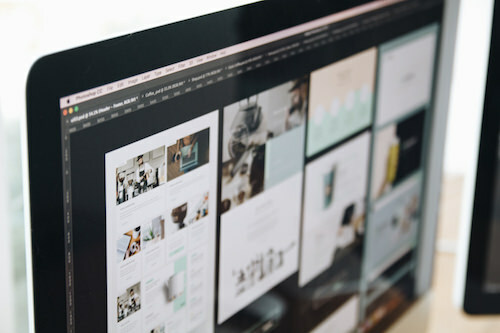 We take care of modern web design from start to finish. Our team will map out a personalized strategy, design the site for your specific brand, and carry your site from brainstorming sessions to the day you go live. We have everything you need for a high functioning, conversion-oriented website in Rockford. Your brand needs to conquer general search engine optimization (SEO) as well as local SEO specific to Rockford. To achieve this, you need a design team that’s local and privy to your target consumers. John LiCausi, the owner of Internet Marketing Experience, lives in the greater Rockford area. We know about Rockford’s population, demographics, geography, history, local hot spots, competing brands, and much more. One conversation with us can open your eyes to all the things your website should and can achieve. Web design in Rockford should not be overlooked. The website has grown in importance over the years, transitioning from being an optional feature to becoming a mandatory business requirement. Today’s consumers typically do not trust brands without websites. They perform searches and expect local brands to pop up in search results. Without an optimized site, you miss the opportunity to reach the majority of your target audience. Rockford web design has never been easier or more rewarding than with our team. We can help you meet your loftiest business goals with a website and web marketing that delivers real results. We can help you master local SEO and increase the chances that your business website will display on the first page of search engine rankings for local queries. Let Internet Marketing Experience transform your brand’s marketing strategy with web design, maintenance, and management in Rockford. Contact us today!